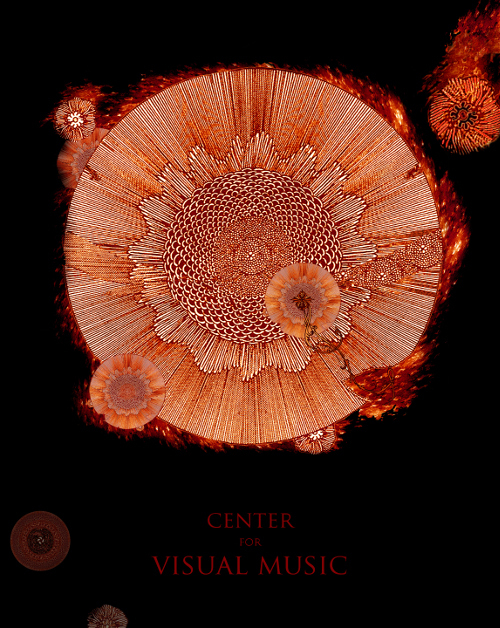 Join Center for Visual Music or Renew Your Membership Today! --Participation in Members-Only online discussion group, where you can publicize your own work, receive advance news of events, exhibitions, screenings, research and publications signficant to the field, and DVD releases, and participate in discussions on various visual music-related topics. - NEW, begining February 2019 Members at $125 Friend level and up receive access to selected rare visual music films online, at a private link, for resarch and study purposes. Limited selection curated by CVM. $25 - Student Level, Seniors and Disabled. BOOK: Evers, Frans. The Academy of the Senses: Synesthetics in Science, Art and Education. Edited by Vincent W.J. van Gerven Oei, Joost Rekveld, Eric Parren. The Hague:ArtScience Interfaculty Press, 2012. 300 pages, English, paperback. A study of the scientific approaches to synesthesia, related to the psycho-physical research conducted by Evers during his studies at the university; an alternative art history of the twentieth century based on the double paradigm of Castel’s clavecin oculaire and Wagner’s Gesamtkunstwerk; and a full account of the genesis of the Interfaculty Image & Sound. To encompass this entire range of subject, Evers coined a new term, “synesthetics,” to denote the experience, creative force, and study of synesthesia. Provides anyone with an interest in the wondrous realm of multimedia arts and synesthesia as a creative force, whether student or professional, an introduction into the foundations and extensions of seeing sound and hearing colors throughout the centuries. (This book may also be purchased at our online store). L to R: (A) Red Bowl promo emphemera, with text inside. Center, (B) Greeting Card, blank inside. Right, (C) ad for painting, single sided. 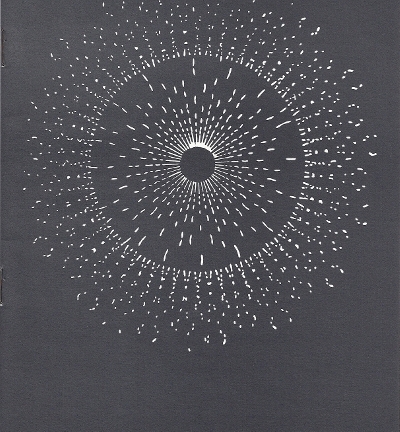 Vintage 13-page Program notes/brochure from William Moritz/Elfriede Fischinger's 1972 European tour: Oskar Fischinger and West Coast Filmmakers with an extensive Oskar Fischinger program, and three separate "West Coast Underground" film programs. Includes Fischinger chronology, and film descriptions for films including Lapis, Eneri, Allures, Radio Dynamics, 7362, Waterfall (Chick Strand), EF (J. Reidel) and more. German language. James Whitney/William Moritz "Lapis" poster for 1977 Los Angeles County Museum of Art series, "A James Whitney Retrospective," guest curator William Moritz. 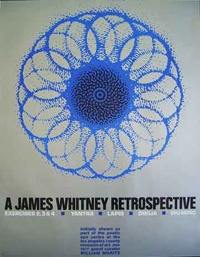 Reverse has text by Moritz and others about James Whitney’s films. Shipped rolled, in tube. 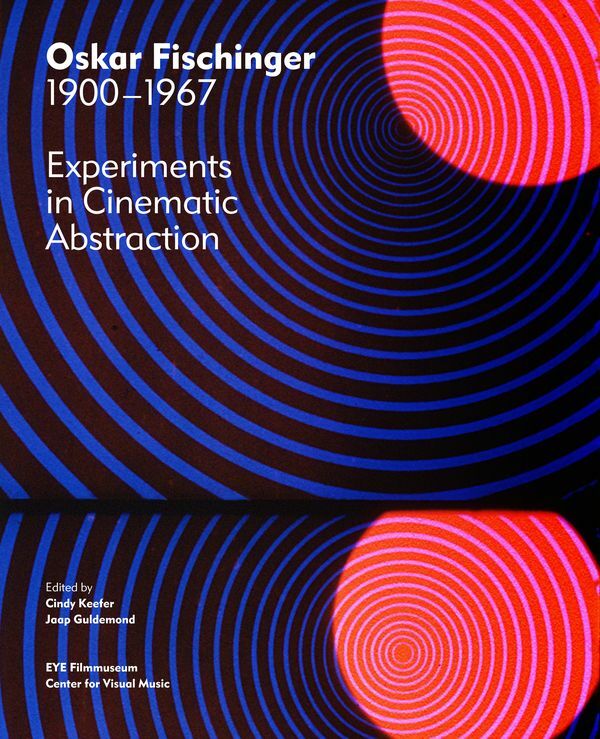 Fischinger book: Oskar Fischinger (1900-1967), Experiments in Cinematic Abstraction. Keefer, Cindy and J. Guldemond, eds. Co-published by EYE Filmmuseum and Center for Visual Music, 2013. Distributed by Thames & Hudson. 240 pages, extensive color illustrations. Signed or inscribed by editor Cindy Keefer of CVM. Flipbook (1970) , "Film-Flip, A 3-Second Part of Mutoscope Reel No. 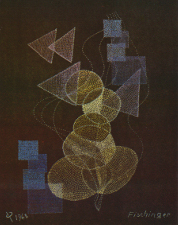 1 by Oskar Fischinger" made by Elfriede Fischinger, 1970. Limited edition, out of print. Approximately 150 pages, stapled stiff wrap binding. 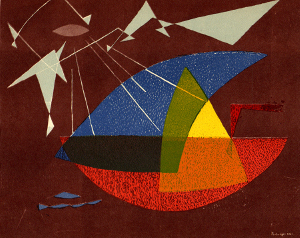 Elfriede Fischinger address stamp on verso. NO LONGER AVAILABLE. John Whitney screening: Vintage Advertising Flyer for Theatre Vanguard, Los Angeles screening, early 1970s. Curated by William Moritz. 11 x 14, illustrated. Plus a DVD of your choice, Fischinger, Belson or new Visual Music compilation DVD. Oskar Fischinger silk scarf. 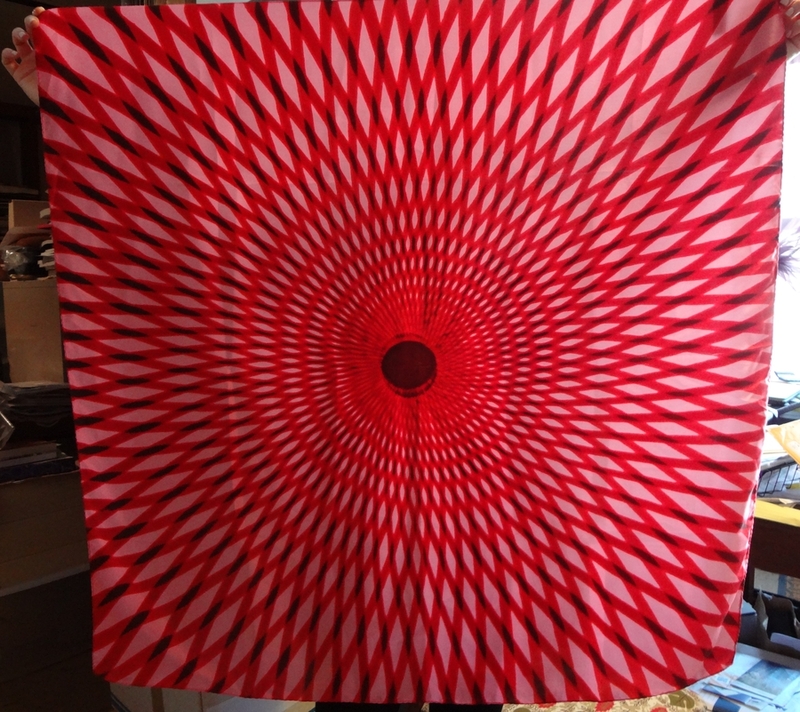 This beautiful handmade 36-inch square silk scarf was produced exclusively for the Whitney Museum Store and is a stunning reproduction of a still from Oskar Fischinger's Raumlichtkunst which was reconstructed/restored by the Center for Visual Music. 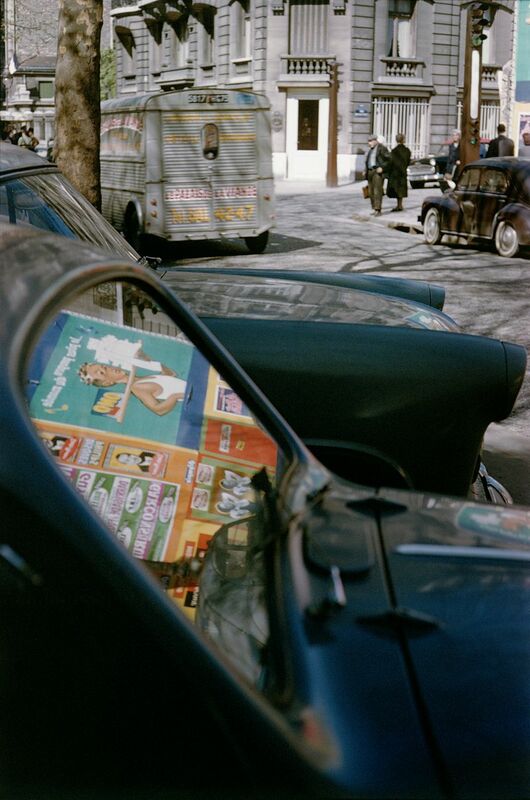 (photo, courtesy Whitney Museum). FULL VIEW OF SCARF. 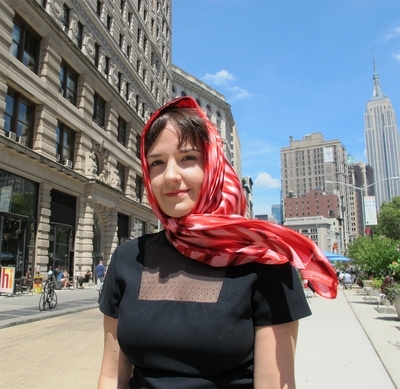 This scarf retails for $98 at The Whitney Museum, New York. Based on image from center panel of Raumlichtkunst - installation shot below, Whitney Museum, 2012. Photo (c) CVM. While supplies last. 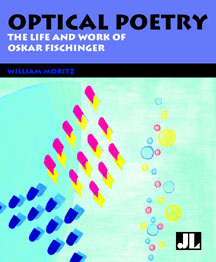 Signed copy of "Optical Poetry: The Life and Work of Oskar Fischinger," biography by William Moritz. Signed by Moritz in early 2004. Moritz was Fischinger's biographer, who worked with The Fischinger Archive and Elfriede Fischinger for over 3 decades until his death in 2004. One available. $1000 Level - Founders Circle Member. Premium: Your name prominently displayed in CVM publications, programs, website, as part of its Founders Circle. 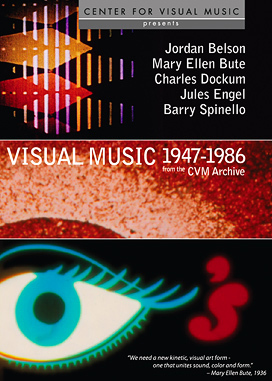 Plus a DVD (choice of Visual Music 1947-86 DVD, Seidel, Belson or Fischinger: Ten Films), signed copy of CVM's new Fischinger book, and choice of premium from Benefactor level above. 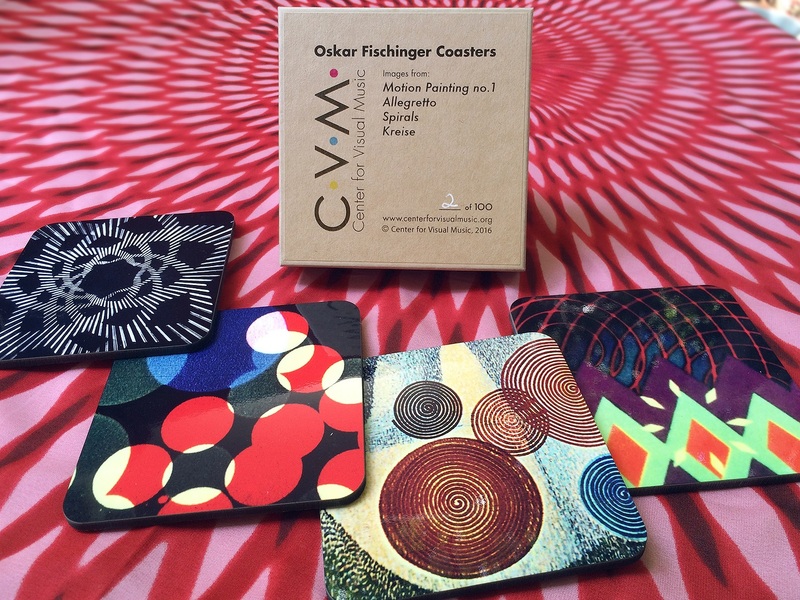 Premium: A very special original artwork from CVM's Collection, plus inclusion in the Founders Circle, a coaster set and a Fischinger silk scarf. Plus your name publicized as a sponsor of a special CVM salon or event. Inquire.